A good time was had by all at Bro. Steven A. Fulton D.D.G.M. 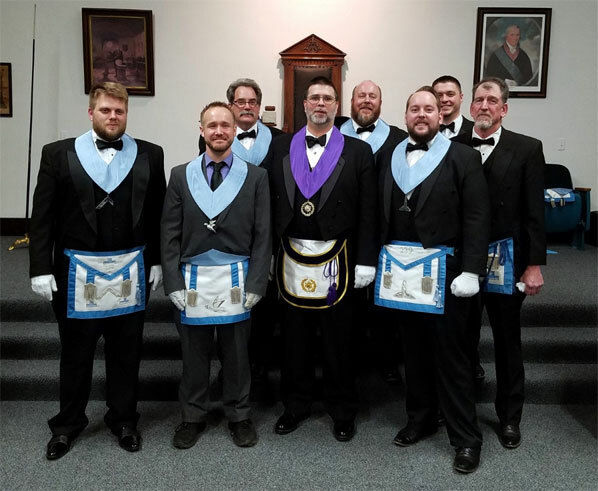 's official visitation to Armstrong Lodge # 239 in Freeport, PA. The Officers and Members of District 27 were welcomed with a warm meal and great fellowship. We always receive a warm welcome at the Armstrong Lodge. Armstrong Lodge is the oldest Lodge in Pennsylvania Masonic District 27, receiving its charter on August 1st, 1849, but it is still one of the most vibrant and active Lodges in the District.